New Delhi: We Are Water foundation, a non-profit organization supported by a socially responsible corporate, Roca Bathroom Products Pvt Ltd, announced its India launch. 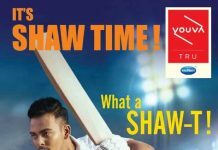 With this move, the foundation also announced its flagship campaign ‘Shauchalaya Apna, Bitiya ka Sapna’ targeted at improving the sanitation facilities for women & girl child in the country. 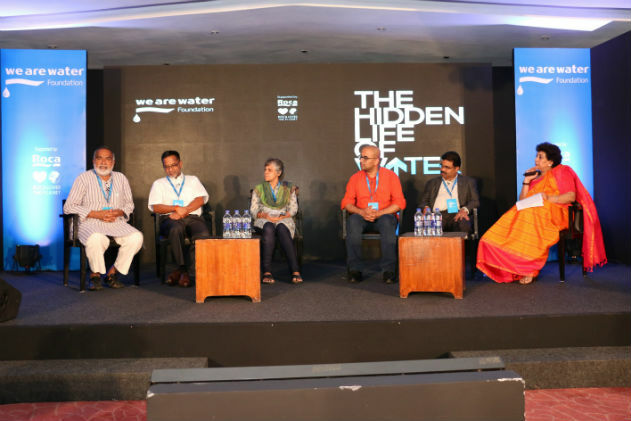 With a vision to work towards solving the global problem of water, sanitation and hygiene, ‘We Are Water Foundation’ a non-profit organisation conceived in 2010, stepped foot in Indian soil this year. The foundation has completed 30 projects in 18 countries that have helped more than 400,000 people get better sanitation and water access. 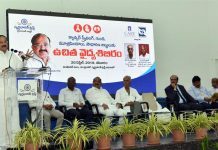 The event saw a confluence of delegates, dignitaries, architects, builders, NGOs, agencies, social heroes and sanitation champions as they gathered to voice the noble cause of providing better hygiene and sanitation facilities to all sections of the society. The event also saw unveiling of the foundation’s campaign and logo directed at protecting the integrity of women and providing them with basic sanitation facilities. This was followed by the Panel discussion that boasted of names such as Joe Madiath (founder Gram Vikas), Swapnil Chaturvedi aka The Poop guy, Mr. Arumugan Kalimuthu (WASH Institute Program Director & In-charge for Swachh Bharat Mission Technical Assistance program), Akhila Sivadas (founder member of Centre for Advocacy and Research) and Abhjit Banerji (Secretary FINISH society). The event also witnessed the felicitation of the social heroes who have championed the cause of sanitation and hygiene in the country today and inspired others to get access of better facilities. Among them were Priyanka Bharti, Sharda Chaggan Kamble, Tensutula Imsong and Bezwada Wilson. Each of these heroes have sacrificed their time and efforts for the greater good of the society.